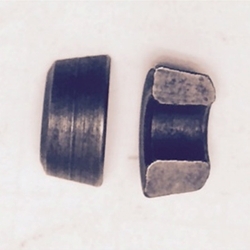 Lock, valve spring retainer. These are sold in pairs. This lock fits all intake & exhaust valves with the large square cut.